The most exciting time of the year for the IC community, IC Awareness Month, begins September first as patients around the world unite to educate others about IC. We need to reach those patients who are suffering in silence and give them hope. We need to educate doctors who are still treating IC out of old textbooks that new treatments are available. We need to educate our community leaders and government representatives that our need for rest room access is legitimate and vital! So, how do we do this? Through people like YOU who believe that patients deserve kindness, compassion and better care. 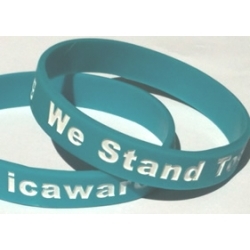 IC Awareness Month is the ultimate grass roots campaign. There’s no big pharmaceutical company backing this.. it’s driven by patients who truly believe that we deserve a better future! 2. FACEBOOK, TWEET, PINTEREST & INSTAGRAM IT UP! Share the campaign website (https://www.icawareness.org), posters, 30 daily facts on your Facebook, Twitter, Pinterest, Instagram pages! We also have Facebook Profile and Timeline pictures that you can use! Ask your local newspaper to do a story on IC and IC Awareness Month. We’ve prepared a simple, two page press release (featuring Dr. Rob Moldwin) you can send to them, ideally with a paragraph about your own personal story. Newspapers love to discuss how lives have been changed, for better or for worse. You can use your own name or ask them to use a pseudonym. Download the official press release here! 2014 Poster Contest – Bring out your inner artist and create a poster for IC Awareness Month sharing your own interpretation of life with IC. Have you children make their own poster with your choice of medium: digital, watercolor, crayon, markers! Your choice! All posters will be added to our website and the winners will receive $100, $75 or $50 gift certificates from the ICN Shop! Learn more and see poster samples here! 2014 Timeline Contest – Last year, we had some fabulous entries and I know that this year will be even better. What we’re looking for is an image, collage, drawing that shares your story of life with IC for use as a Facebook Timeline Image. All languages welcome! Learn more about see timeline image samples here! If you tried to get information on IC and visited your local library, you probably found ZILCH! Yes, that’s right, most public libraries do not carry books on IC unless a patient or a support group donates one or two. So, think about making a gift of a book to a local library! Click here for some book ideas! 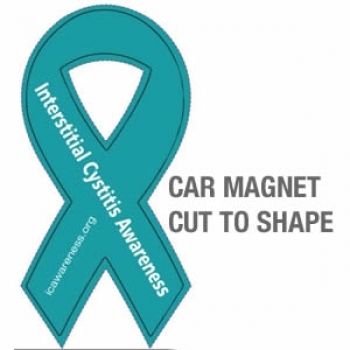 Ask your City Council, County Board of Supervisors, State, Provincial or National legislators to pass a Proclamation to honor IC Awareness Month. We’ve made this as easy as possible with a pre written proclamation! Use the copy in your IC Optimist or print it out here! 8. START A SUPPORT GROUP OR SUPPORT ONE NEAR YOU! Donate to a local support group that is serving IC patients – They can use stamps, cash or even book donations for low income patients. If there’s no group near you, please start one. Learn how in the ICN Support Group Resource Center. The ICN has developed a new series of fact sheets for 2014. Share them with your family, friends and medical care providers here! Free downloads here!